All songs written by Sonny George – except “Jacknife” and “The Ghostman Trucker” co-written with Boz Boorer. Album recorded/mixed in 1998 by Liam Watson at London’s (famously all-analog) Toe Rag & Pathway Studios, as well as Starday in Nashville. 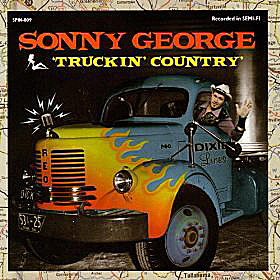 This entry was posted in "Dixie Fireball", Sonny George, Truck Driving Songs by Zeroto180. Bookmark the permalink.